Before acknowledging the deal that was done to prevent an attack — the surrender of chemical weapons to Russia by the Bashar al-Assad government — the president went through his rationale for planning an attack on Syria and his switch to unilateral action to congressional involvement. He then explained how he submitted his proposal to Congress. As we were wondering if the president had already let missiles fly, he announced the plan for Syria to turn their chemical weapons over to Russia. This move, he argued, was the direct outcome of the threat of military force. The president ended with some war talk about the consequences for the Syrian government if they failed to live up to the to the chemical weapons surrender and the Chemical Weapons Convention. The speech was crisply delivered and concise. It also glossed over or distorted some key factors. This line was omitted from the speech. Secretary of State Kerry claims that this approach was being negotiated for months. This stretches the limits of credibility to the point of breaking. Hillary Clinton also seemed to take credit for the deal. It is far more likely that Putin offered up this alternative earlier and events in Congress, the likely defeat of the war resolution, made the plan appealing on any number of levels. The president acted coy for a few hours (US Distances itself, then retools to Russian idea, September 10) then accepted the Russian offer to take possession of the chemical weapons stockpile in Syria. 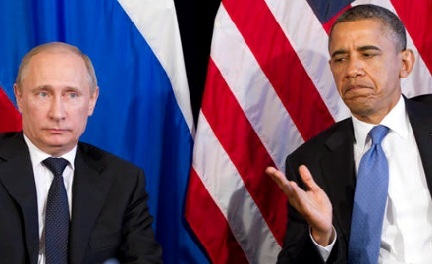 Putin’s offer saved Obama from a profound political humiliation in the Senate Friday, possibly, and certainly in the House when the authorization was considered. His proposal for action would have been defeated. He could launch an attack anyway, a political catastrophe, or sit silently in defeat. This was a huge favor by Putin. The president talked about the “civil war” following the al-Assad response to civil unrest in 2011. What he to mention was that his Secretary of State, Hillary Clinton, roamed the globe demanding that the president of Syria leave the country. He failed to account for the hundreds of millions of dollars in aid to Syrian rebels and how that prolonged the civil war. This accounted for the hostilities that produced 100,000 deaths, according to the United Nations. The president’s rationale for giving aid to the “good rebels” (the Free Syrian Army) knowing that the bad rebels, Al Qaeda foreign fighters, would benefit, at least indirectly from this aid was odd. He said that failing to act, through a military strike, would have sent a message to the Syrian people that the U.S. would do nothing, thus guaranteeing Al Qaeda’s success in Syria. Al Qaeda is going the military heavy lifting for the rebels. What makes anyone think they’ll just walk off if the rebels win? The Veteran Intelligence Professionals for Sanity (VIPS) issued a frontal assault on the president’s claims. This group consists of retired intelligence officials. If the administrations intelligence is flawed, intentionally or unintentionally, there are huge risks as time goes on. It looks as though this was a Russian idea at the last minute or previously or, previously offered, but accepted at the last minute. It saves Obama from being the first president in decades to receive a no vote on aggressive military action of this type. It preserves the Obama presidency. The Russians may well have said: We’ll take the weapons, you stop arming the rebels to the hilt, and let Assad finish them off. While that’s happening, we’ll all pretend to negotiate at Geneva but when it’s all over, Assad’s government will prevail and Al Qaeda will be largely out of Syria. Or maybe it’s all as the president said, a great victory for the threat of using military force. One thing for sure, humility and gratitude were not evident at any point during the speech. This entry was posted in Region: Middle East, War and Peace and tagged obama, putin, syria. Bookmark the permalink.